This production includes strong sexual content and is recommended for adults only, but it can be perfect for a parents’ night out! Welcome to the infamous Kit Kat Klub, where the Emcee, Sally Bowles and a raucous ensemble take the stage nightly to tantalize the crowd – and to leave behind the troubles of a looming World War II. “Wilkommen” to the Weimar Republic. Weimar Republic is the name given to Germany between 1919 and 1933. The end of World World I in 1918 brought radical change to a defeated, disillusioned Germany. Early on, the Weimar Republic ended censorship and enacted liberal social policies. These new policies, combined with a favorable exchange rate for foreign money, attracted artists, scientists, and outsiders such as gays and lesbians from around the world. Traditional rules about gender and sexuality were also being challenged. Gay and lesbian bars appeared. Women, who had entered the workforce during the war and recently gained access to some forms of birth control were no longer defined by marriage and child-bearing. New ideas about art, money, gender, and sexuality arose and were brought to life on the cabaret stage. The word “cabaret” is a french term for tavern or taproom, social spaces where there were often impromptu performances. 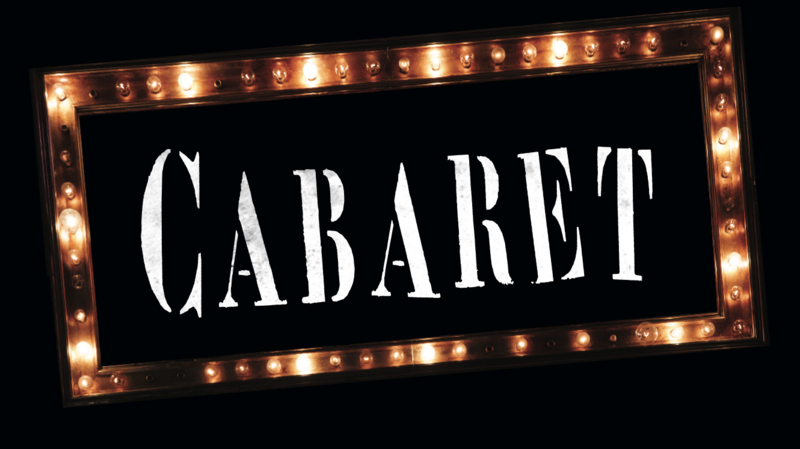 From its beginnings, cabaret was an art form dedicated to pushing the boundaries of art and questioning society. As Hitler and the Nazis rose to power in the early thirties, cabarets were forced out of business or turned to creating nationalist propaganda. The golden era of the Weimar Republic was over. It was no longer safe to be gay or Jewish or to oppose the government, let alone to do so in song. 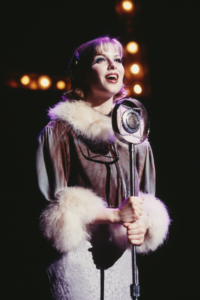 “Cabaret” song writers Kander and Ebb also wrote the popular musical “Chicago.” Both musicals have received the Hollywood treatment with stars including Liza Minelli and Catherine Zeta Jones. 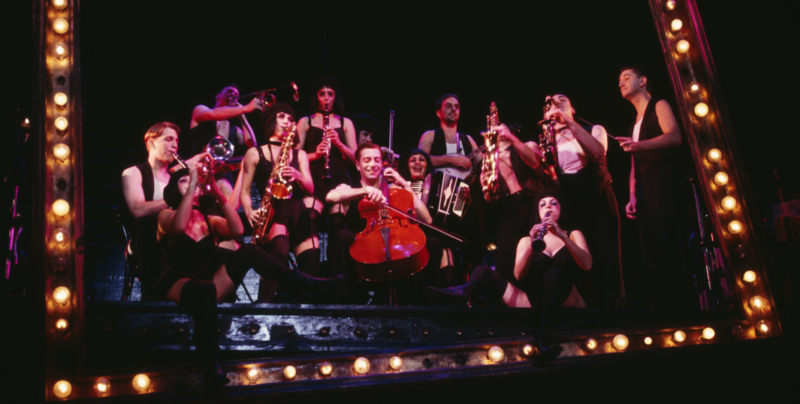 How does America today parallel the society depicted in “Cabaret”? 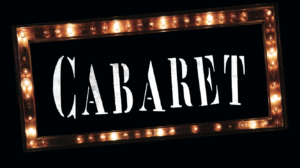 Why are the themes of “Cabaret” still relevant today? Prejudice and persecution are still part of our everyday life in America. How does our society deal with it? How can you make a difference? 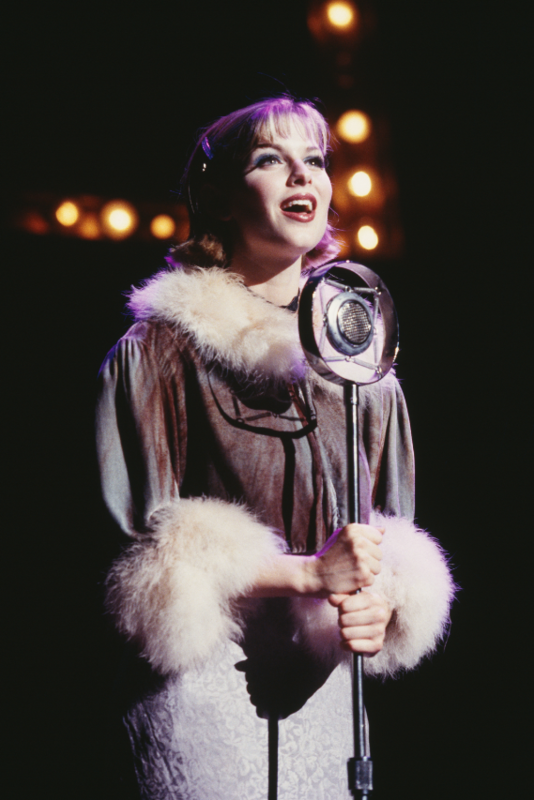 What forms of entertainment today serve the same role as cabaret? Questions? Comment below and we’ll answer as quickly and as best we can! This entry was posted in Broadway Series, Parent & Education Guides, Upcoming Shows. Bookmark the permalink. How long is Cabaret from start to finish? Hi Jennifer – The show is about two and a half hours with intermission. Went to see the performance last night and was very disappointed. We have seen other shows and this was not up to the quality of the others, everything seem to off. I thought it was just my feeling of the show but leaving I heard the same response from other members of the audience. Hi Kathy – Thank you for your honest feedback. We try to bring in a variety of shows to the theatre and do our best to make sure they will meet our audience’s high standards. I hope you will give us another opportunity to surprise you with the best of Broadway. We have five more great shows coming!